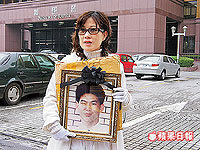 On this date on 2000, Lu Cheng was shot for murder in the Republic of China (Taiwan). Lu Cheng was condemned in June 2000 for kidnapping and murdering a onetime high school classmate and the sentence executed with dispatch on the eve of the Mid-Autumn Festival. Lu’s family has kept up protests posthumously, and even the Minister of Justice who signed Lu’s death warrant later turned against the death penalty himself. Cases like Lu’s have helped drive a growing anti-death penalty sentiment in Taiwan, where executions declined throughout the 2000s, eventually settling into a five-year moratorium that has only recently been undone.